Surprisingly deep and dark. I loved it! 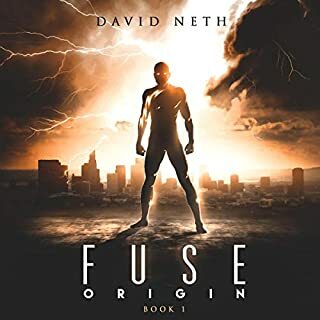 The story follows a tech geek guy named Ethan Pierce who unexpectedly gains superpowers. I was surprised at how dark and deep this was, with a criminal underbelly to rival the likes of Gotham city. 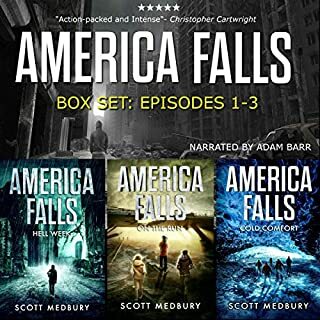 This America Falls box set collect the first three books in the series. The story is about a virus that has eradicated almost all of the adult population in the United States leaving the young to fend for themselves. The plot is well crafted and full of intrigue, mystery and action. The narrator did a good job. I received this free audiobook at my request and have voluntarily left this review. "The strong rule and always will." 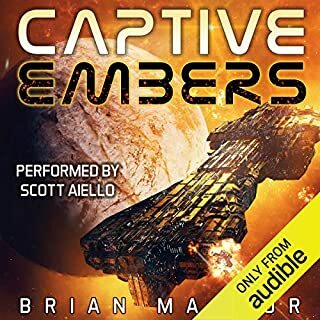 Captive Embers it's an incredibly fascinating military sci-fi thriller with a complex and well structured backdrop of political intrigue. There are multiple POV and the characters are well developed and feel real. Scott Aiello does an amazing job with the narration. 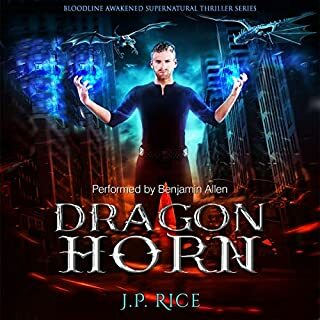 Dragon Horn is a thrilling urban fantasy ride with evil dragons and Fey. The main character Mike is far from perfect but he grows on you as the story progresses. The narration was good enough and kept me engaged from the beginning. 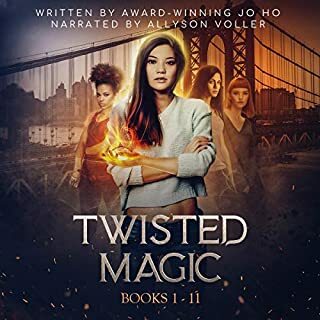 The Twisted Magic series is amazing. The story follows four girls as they discover a whole new supernatural world around them. The characters are believable and well developed and the narrator did a great job bringing the world to life. War is hell....but sometimes it's also funny as hell. Loved this!! Not your typical military memoir full of exaggerated battles. 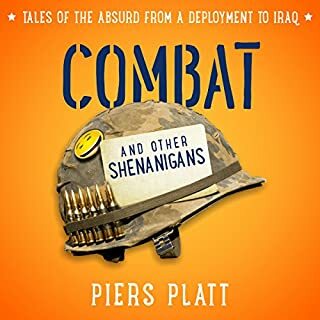 Definitely recommend it to everyone looking for a military memoir that's honest and funny. A satisfying conclusion to the Book of the Ancestor trilogy. The best book in the series. The narration was excellent Heather O'Neill did a good job. This second book in the Titanborn series is better than the first one. 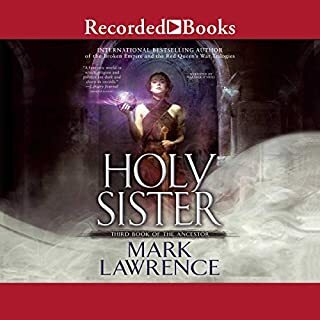 The story give us a different perspective from the story of book one with complex characters and deep worldbuilding. 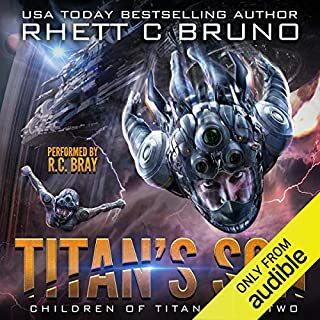 I've already pre-ordered the next one on Audible. 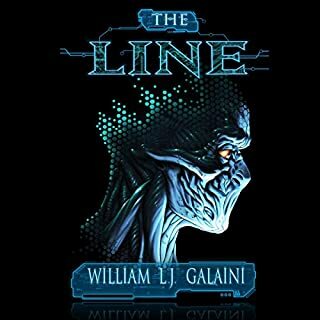 The Line has a very interesting plot that mixes time travel and alternate realities. The story isn't predictable and all of the different threads come together satisfyingly in the end. The narrator was pretty good and kept me interested in the story the entire time. 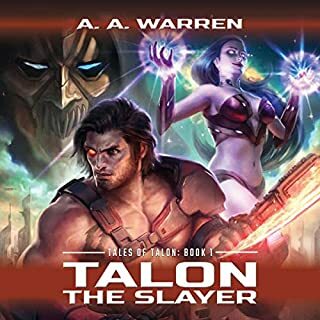 Science-fiction fantasy is a genre I absolutely love and this book didn't dissapointed me. The main character is well fleshed out. The plot though straightforward and simple is action packed and got me hooked from the start. Likewise the narration was excellent.